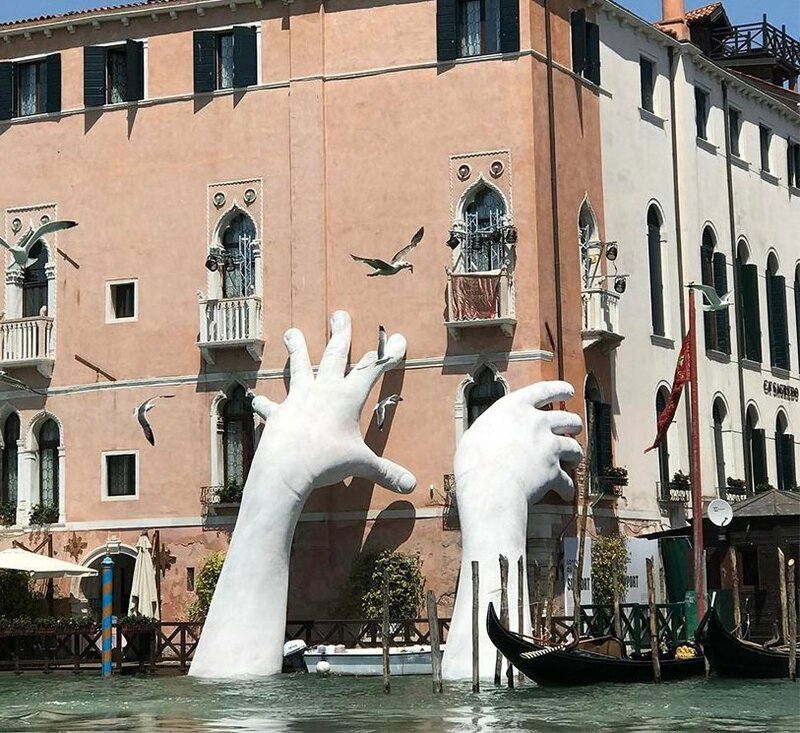 Lorenzo Quinn, an Italian sculptor, created and temporarily installed this piece of art entitled "Support" in Venice. Quinn used his own children's hands to design this piece. His intention was to demonstrate our need of human support to ensure the continued existence for our natural and man-made world. In this 3-act activity we ask students to imagine the size of the child that would have these huge hands. For members we have an editable Act I document and our own solutions to the calculations.